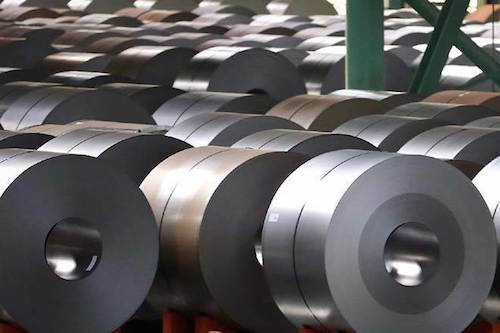 China will lower import tariffs on several metals, including steel, to 8.4% from November 1 from the current rate of 11.5%, the Ministry of Finance said Sunday. The cuts are part of the country's efforts to increase imports in 2018 and will also be applied to machinery, electrical equipment and textile product imports. The ministry's announcement was made before the country broke for its national day holidays over Monday to Sunday. The cuts are divided into four parts, the ministry said. The first, which covers about 677 products, covers textiles, building materials, base metal products and steel, will see tariffs lowered to 8.4% from 11.5%. Building materials include aluminum doors and windows and related frames. The second, which covers 386 products and includes mechanical and electrical equipment, will see tariffs cut to 8.8% from 12.2%. The third, covering around 390 products including wood and paper products, minerals and gemstones, will see tariffs cut to 5.4% from 6.6%. The fourth, covering 122 products associated with trade facilitation, will see tariffs cut to 8.5% from 12.3%. In total, tariffs on 1,585 products will be reduced November 1, averaging a reduction to 7.8% from 10.5%, the ministry said. Combined with reductions on tariffs earlier this year, China's overall tariff level will fall to 7.5% in 2018 from 9.8% in 2017. "Reducing tariffs is conducive to promoting the balanced development of foreign trade and promoting a higher level of opening up to the outside world," the ministry said in a statement.